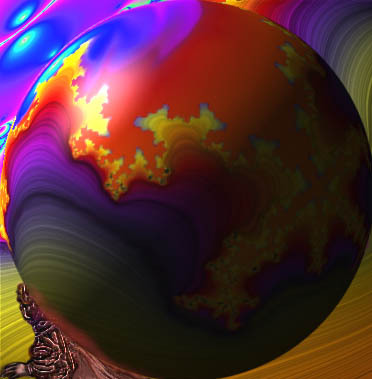 shepherd boy from "Heavenly Earth Tones" and places him into a fractal background. The fractals were created by the KPT5 fractal effect, using two of Danielle's VisionForge renderings as a foundation. The "planet" was created by another KTP5 effect. All renderings were combined using Photoshop.